A repeat of the 2014 Champions League final between Real Madrid and Atletico Madrid is still possible after Friday's semi-final draw. Real, who won that game 4-1 after extra-time, will play first-time semi-finalists ManchesterCity, with the first leg in north-west England. Atletico, who beat holders Barcelona in the last eight, host Bayern Munich in their first leg. Bayern manager Pep Guardiola misses what would have been a difficult semi-final for him against City, the Premier League side he will take charge of next season. City will host Real on April 26 and Atletico face Bayern the following evening. 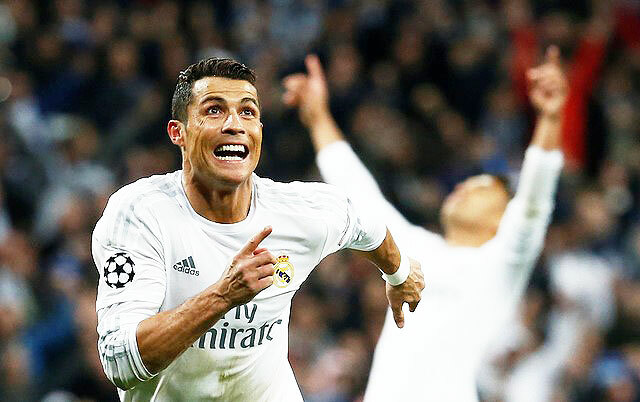 Real, record 10-times champions, are unbeaten in their last eight games against English clubs. Their only previous game against City came in 2012 when the Spanish side won 3-2 at home before drawing 1-1 in Manchester. The only time Atletico have met Bayern was in the 1974 final, when the German side won 4-0 in a replay after a 1-1 draw. For Real's Cristiano Ronaldo, who scored a hat-trick to win the quarter-final against Vfl Wolfsburg, it will be another return to Manchester, where he spent six years with United before moving to Spain in 2009. The final is in Milan on May 28. Will Barca's Champions League exit hit their La Liga bid?